Italy is picking through the wreckage after the national team failed to qualify for the World Cup. This is the first time the country failed to do so since 1958. 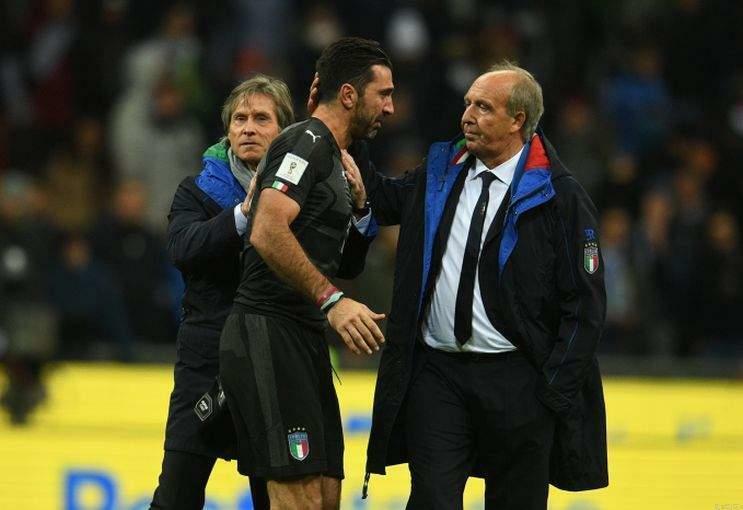 Gian Piero Ventura was given the Italy job in the wake of Euro 2016 after five excellent years at Torino, who he took from Serie B in 2011 to the Europa League round of 16 in 2015. In 2014 he led the club to seventh in Serie A, their best league position since 1992, and gave them their first win over hated local rivals Juventus in two decades. Nonetheless, he was an uninspiring replacement for Antonio Conte, a three-time Serie A winner who dragged a rag-tag Italy to the quarter-finals of Euro 2016. Ventura was a 68-year-old who had never managed one of Serie A’s big hitters and had only the 1996 Serie C title in his trophy cabinet. Critics suggested that a team that has four World Cups and two European Championships to its name needed someone with a bigger reputation and better record in the upper echelons of the game. Italy might not have players of the same calibre as the 2006 World Cup team, but there is still plenty of talent of pick from. The key problem in this disastrous campaign was that Ventura did not play or sometimes even select Italy’s top young talent. Italy’s entire starting 11 on Monday was over 25 and six were over 30, while young talent like Juventus’ Federico Bernardeschi, Atalanta defenders Leonardo Spinazzola and Mattia Caldara and Roma midfielder Lorenzo Pellegrini were barely anywhere to be seen. Italian Football Federation (FIGC) President Carlo Tavecchio is responsible for the hiring of Ventura and as such the blame for the arrival of the catastrophe he warned of should rest on his shoulders. Ventura did not step down on Monday and the FIGC is dithering on firing him, with Tavecchio announcing he will decide his fate on Wednesday. That is an emblematic final scene of a tenure that has at times resembled a slow-motion car crash and observers say it highlights the lack of leadership Tavecchio offers to the Italian game. The 74-year-old Tavecchio is a symbol of a gerontocratic Italy where age is often valued more than youth. He hired Ventura, who will be 70 in January, and Ventura stuck with the old guard, like De Rossi (34) and Andrea Barzagli (36). Tavecchio was elected president of the FIGC after a landslide vote in his favour in 2014 that saw 18 of the 20 Serie A clubs back him against former AC Milan and Italy midfielder Demetrio Albertini. Tavecchio won the vote despite it coming just weeks after making racist slurs, referring to black players who “ate bananas” before they came to play in Italy. Ventura’s inexperience at the highest level showed as the qualifying campaign unfolded, as he failed to find a settled team or tactics. The coach’s mishandling of Jorginho and Lorenzo Insigne angered critics, with the coach refusing to play an attacking trident that would have got the best out of wing dynamo Insigne with a midfield three that would have mirrored the system in which the pair shine at Napoli. Instead Ventura flip-flopped between formations and ignored Jorginho for almost two years before throwing him into the fray on Monday with Italy’s World Cup hopes hanging by a thread. Giving Insigne 14 minutes in midfield in the first leg of the play-off in Solna and not playing him at all on Monday infuriated fans and left Roma captain Daniele De Rossi openly bemused on the bench.